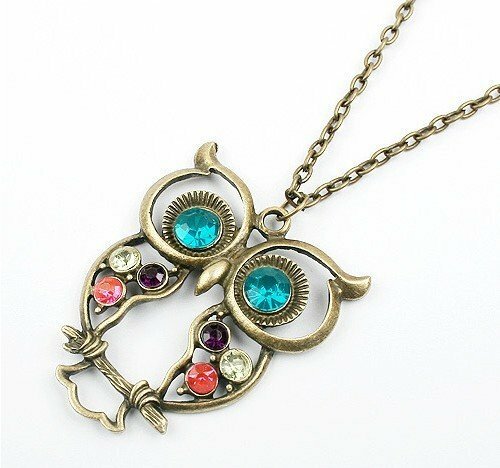 Super Cute Vintage Owl Necklace Just $2.28 + FREE Shipping! You are here: Home / Great Deals / Amazon Deals / Super Cute Vintage Owl Necklace Just $2.28 + FREE Shipping! I’m not a huge owl fan, but I think necklace is Super Cute!! Grab this Vintage, Retro Colorful Owl Pendant and Chain with Antiqued Bronze/Brass Finish for Just $2.28! And, shipping is FREE! With the variety of colors, I’m thinking this will go with a lot of different outfits.